Stevertal valley near Nottuln, © Münsterland e.V. 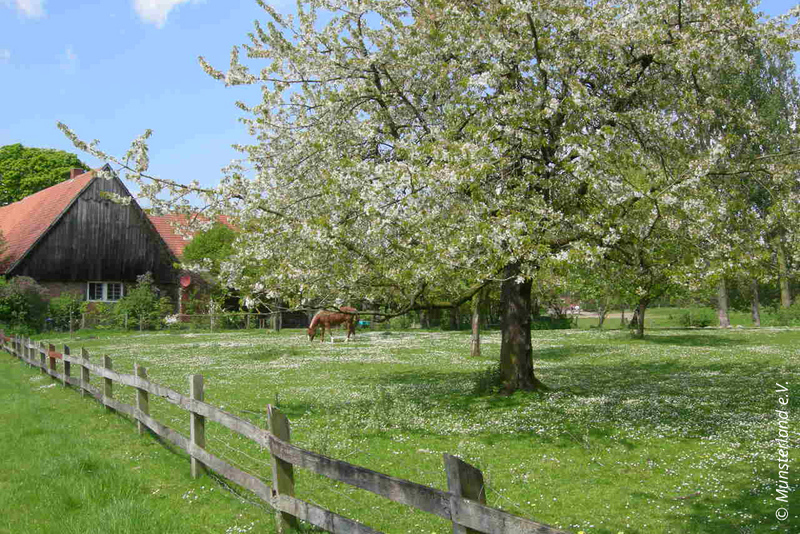 From the parklands of the Münsterland region to the hills of the Sauerland, Westphalia is a region that oozes flair. Not only does it have its fair share of castles, but it is also a haven for horse enthusiasts, cyclists and hikers – and plenty more besides. What’s more, Westphalia is also home to many regional ham and sausage specialities, not to mention cheese, plums, beer, corn brandy, raisin bread and, of course, Westphalian pumpernickel. Pumpernickel even makes an appearance in the legends surrounding the Peace of Westphalia. The story goes that papal nuncio Fabio Chigi expressed his displeasure when served with squidgy dark bread whilst staying in the region with many other diplomats to conclude the Treaty of Münster. Years War. 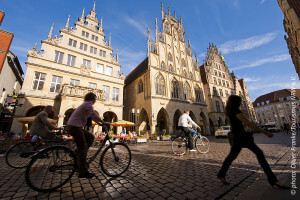 © photo Oliver Franke, Tourismus NRW e.V. The Westphalian Last Supper in Soest’s Wiesenkirche church is quite another story. Although the stained-glass window in question depicts Jesus and his disciples at the Last Supper, the table is filled not with the usual offerings but with specialities from the local region: ham, beer and a kind of dark bread that is generally considered to be pumpernickel. Up until the middle of the last century, Swattbrut (pumpernickel) was a staple at rural dining tables across Westphalia. It would be broken into beer soup in the mornings, served with butter and coffee following labour in the fields, and once again as an accompaniment to soup in the evenings. Children favoured Braut un Stuten, a recipe that saw the pumpernickel topped with butter and raisin bread. As you didn’t need a mill to crush and grind the rye, many households baked their own pumpernickel. These days, Westphalian pumpernickel puts in appearances far beyond the region’s borders, whether it be in the kitchens of health-conscious individuals, ambitious restaurateurs and caterers, or in the packed lunches of children and sports personalities. The product is a kind of food that’s traditional and modern all at once.